Rural enterprises face tougher challenges than urban businesses but there are success stories out there – and they don’t go unnoticed. 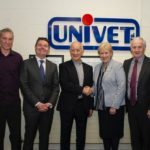 Tullyvin, a village close to Cootehill in Co. Cavan, lies on the periphery yet not one but two government ministers paid a visit on February 25 this year to see for themselves the success story that is Univet. Those senior government people – the Minister for Finance, Paschal Donohoe, and the Minister for Business, Enterprise and Innovation, Heather Humphreys – were more than impressed with what they encountered. 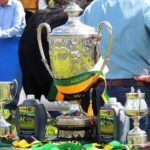 Given its location in a rural idyll, it comes as no surprise to learn that Univet is in the business of veterinary pharmaceuticals. But this is a company with a global outlook, so much so, that three-quarters of its output is exported. 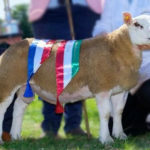 A family business that was established in 1978, Univet has retained its traditional values despite quite significant growth. The company has enjoyed a 27% increase in full-time staff since 2017 and seen average job growth of 15% in the past five years. Not alone does Univet provide opportunities locally but it manages to maintain loyalty among its staff, with an average retention rate of 15 years. That’s real success in a part of Ireland that, like many others of a rural nature, can suffer a brain drain as many of its best and brightest are drawn to positions in the bigger urban areas. 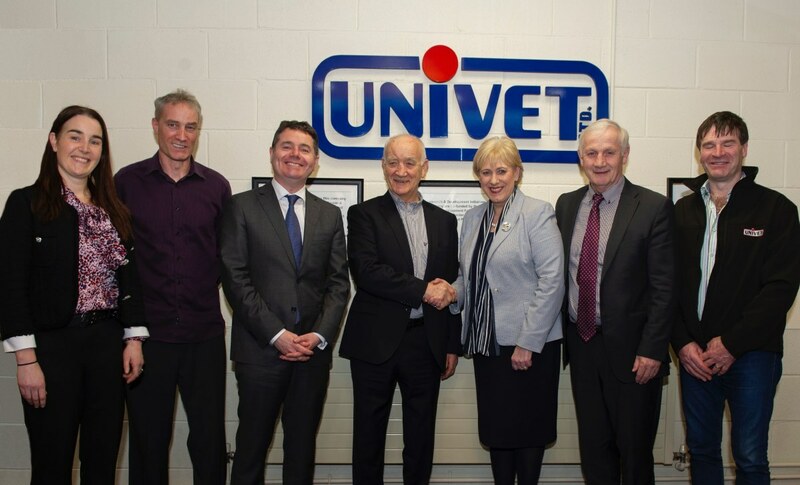 Speaking to those loyal staff, Ministers Donohoe and Humphreys were left in no doubt that Univet is a great company to work for. It boils down to the fact that the Crowe family, many of whom are still involved in the enterprise, have worked hard to build trust locally. This is a trait that works right around the world. From a small acorn, Univet has grown into a big tree, and the company is not resting on its laurels. Planning for the future has always been part of the brief, and to that end it’s currently extending its manufacturing facility. All of the company’s products – sterile injections, intramammaries, anthelmintics, oral powders, premixes and nutritional supplements providing cost-effective, superior quality treatments for a variety of livestock conditions – are manufactured at a dedicated GMP compliant facility in Tullyvin, about 18km from Cavan town. From there, thanks to distribution contracts with trusted partners, the products are shipped around the globe to markets as diverse as Albania, Kenya, Taiwan, Syria and around the Middle East, to mention just a few. 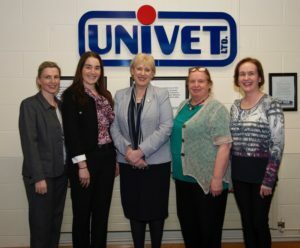 Minister for Business, Enterprise and Innovation, Heather Humphreys with staff from Univet Ltd.
New products in the pipeline include an antibiotic-based intramammary and oxytetracycline injection for new markets, while the company is investing in green energy and lean warehouse solutions, and has identified a gap in the market to offer laboratory testing services. 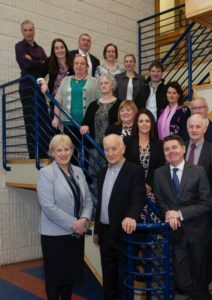 The government’s Action Plan for Rural Development focuses on both the economic and social development of rural Ireland and the regions, and Ministers Donohoe and Humphreys were lucky enough to see the reality of that on their recent visit to Univet. One feels there’ll be many more visits in the future to deliver the ministerial seal of approval that is so richly deserved.